Don't miss out on the 2018 National Miss Amazing shows, all streamed live to Facebook. Once a year, Miss Amazing coordinates a breathtaking celebration of girl power and diversity. 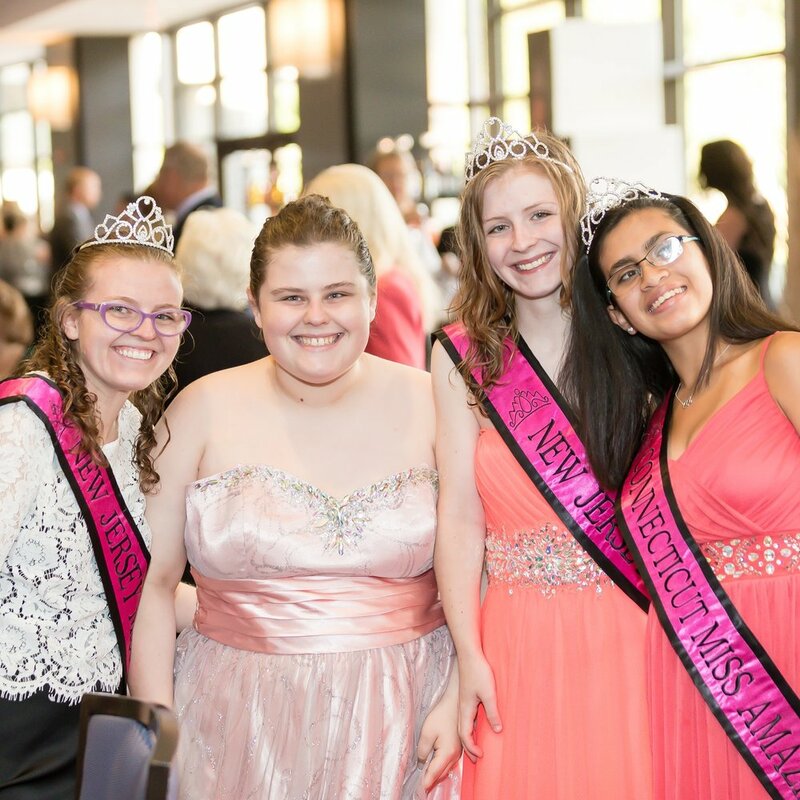 At this year's National Miss Amazing Gala, we will explore the ways that girls and women with disabilities can step up to power - ways that they can be powerful in their independence, powerful in leadership, and powerful in the impact that they have on the people around them. After an action-packed adventure at National Miss Amazing, we'll come together to recognize the girls and women who have accomplished amazing things on the Miss Amazing stage and in their communities. You'll witness breathtaking performances and meet stunning role models and philanthropists, all of whom will come together in the perfect celebration to close out our sixth annual National Miss Amazing event. Are you an attentive and supportive friend? Then you would make a perfect National Miss Amazing Buddy! As a Buddy, you will volunteer to guide and support approximately two Miss Amazing Queens throughout their experience at National Miss Amazing. 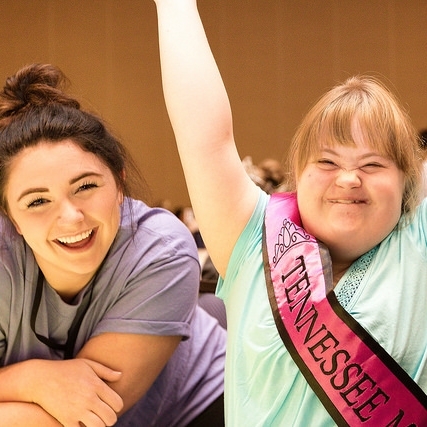 Buddies must be present at National Miss Amazing all day on Sunday, August 4th. Experience working with people with disabilities is highly preferred, but not a requirement to apply. The earlier you apply, the better, so don't hesitate! Submit your application before the June 30th deadline. Miss Amazing is happy to have the Hyatt Regency O'Hare host our guests for a third year in a row. For your convenience, we have secured a room block with rooms at a reduced rate. Support a Miss Amazing Queen in her journey to Chicago! Our "Sponsor a Queen" program allows you to make a tax-deductible donation, which will help offset a queen's travel and lodging expenses. Thanks to generous product donations from citizens and companies alike, National Miss Amazing consistently makes a lasting impression on its guests and volunteers. It's all in the details. You can help us go above and beyond. National Miss Amazing wouldn't be possible without contributions, big and small, from people like you. Give securely online by clicking the link below and designating your donation for "Nationwide Development". "She's been more welcome here than she's ever been welcome anywhere." "Just to see how happy she is, is amazing." National Miss Amazing is coordinated by Miss Amazing Inc., a 501(c)(3) non-profit organization. Find out more at www.missamazing.org.